I love getting super creative in the kitchen. Cooking should be fun and I always love a good challenge. 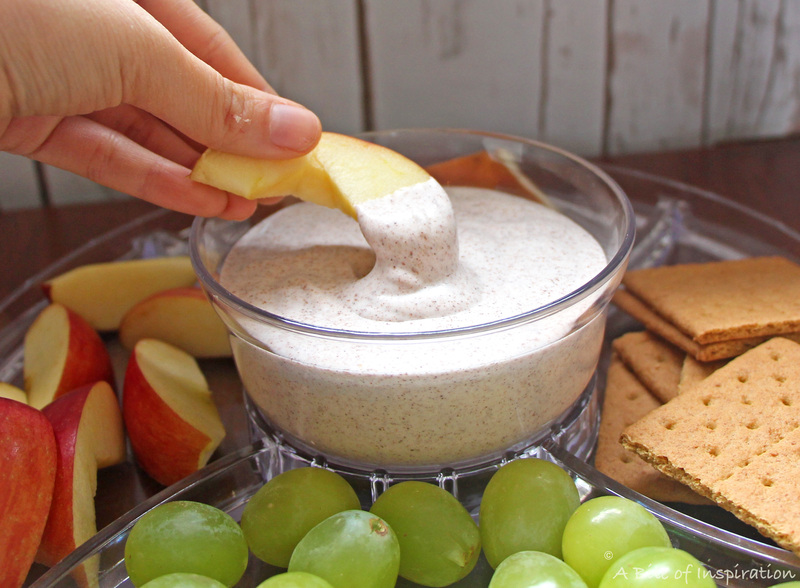 This delicious recipe for Creamy Vegan Fruit Dip was inspired by a cooking game from one of my favorite Food Network TV shows: Guy’s Grocery Games. The challenge is to create a dish where every ingredient starts with the same letter of the alphabet. Read on to find out more about how playing this game resulted in one of my new favorite snacks! If you’ve read some of my previous posts, you probably know by now that I’m a huge fan of Food Network. So I decided it was time to do another recipe inspired by one of my Food Network favorites: Guy’s Grocery Games aka Triple G! This show is hosted by, none other than, Guy Fieri. Now, I know people have a lot of varying opinions about him, but personally, I adore him. I just think he has a such a fun personality and who can say no to those frosted tips? ? If you’ve never seen the show, each episode features four chefs competing in various cooking games/challenges within a gigantic grocery store. The show has three rounds. In each round, the contestants have to shop for their ingredients and cook a dish, but the catch is that each round features a different challenge. The winner walks home with up to $20,000. This show is a blast to watch because: 1) The grocery store the show takes place in is called “Flavortown Market”. I mean, come on. The ridiculous name alone is a reason to watch. 2) How can you not be entertained by four grown adults running around so-called “Flavortown Market” like crazy people, pushing giant shopping carts? Sometimes they even run head first into each other. This is quality entertainment, people. 3) Despite the first two extremely compelling reasons to watch, the most fun thing about the show is the different cooking challenges that Guy presents the contestants with. 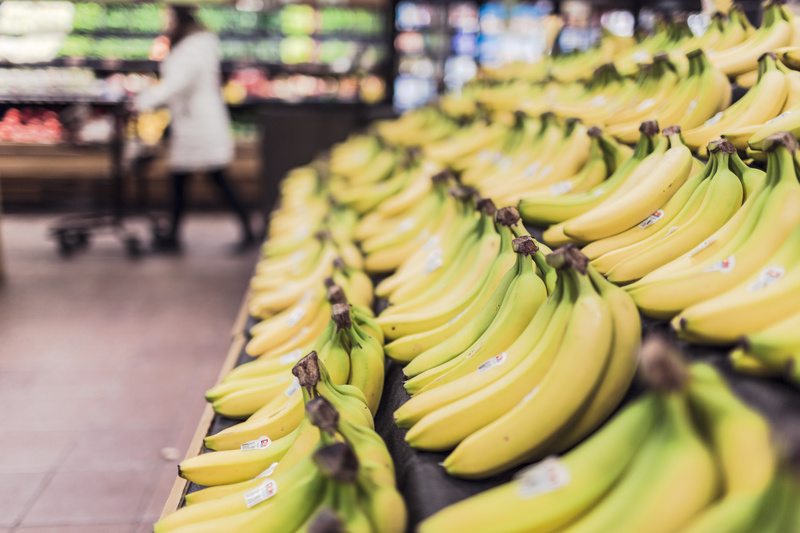 Some examples include: Odd or Even (chefs can only shop for their dish ingredients in either the odd or even numbered aisles), Watch your Weight (chefs are constrained in their ingredient choice by a certain weight limit), and Budget Battle (chefs have a certain budget constraint in shopping for their dish ingredients). You get the idea. One of my favorite games played on the show is “ABC”. In this game, Guy picks a letter at random out a bag and chefs can only use ingredients that start with that letter in their dish. I love this idea—it’s definitely a challenge, but it’s tons of fun! So, I decided that I wanted to play too. Why should the people on TV have all the fun? I had my friend pick a letter at random for me and then give me a category to cook for. She chose the letter “C” and told me to make a snack that only contains ingredients starting with that letter. Challenge accepted! YUM! I should play this game more often—this dip is delicious! The coconut milk yogurt is sweet, creamy, and slightly tangy with a hint of coconut flavor making it the perfect base for this dip. Then, I added coconut whipped cream to the yogurt to give it a fluffier consistency. Finally, the cinnamon and shaved chocolate add nice sweet, warm notes to the dip. I used a microplane to shave my chocolate, but you can also buy chocolate shavings at most grocery stores. 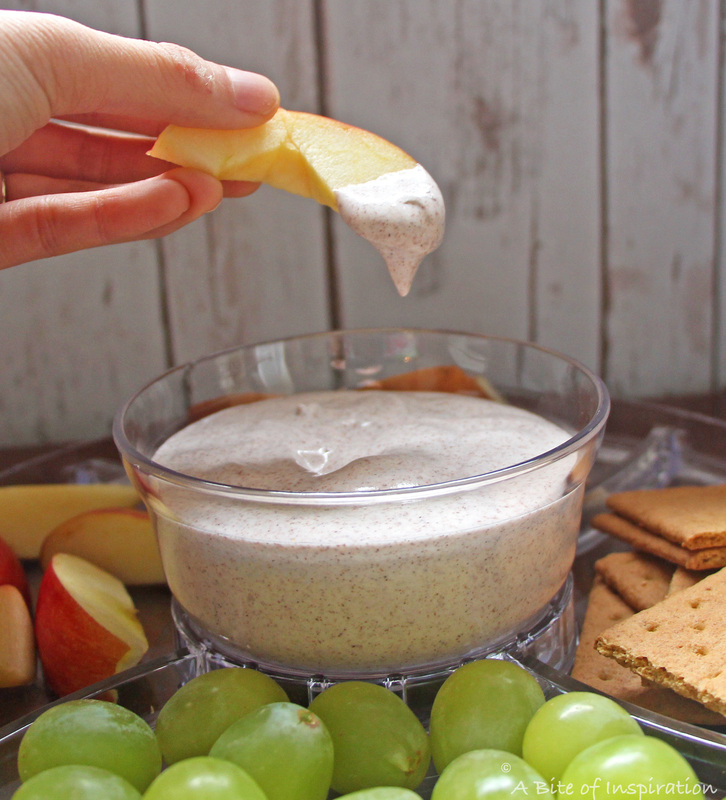 This dip pairs perfectly with fruit, crackers, marshmallows, or anything else sweet. 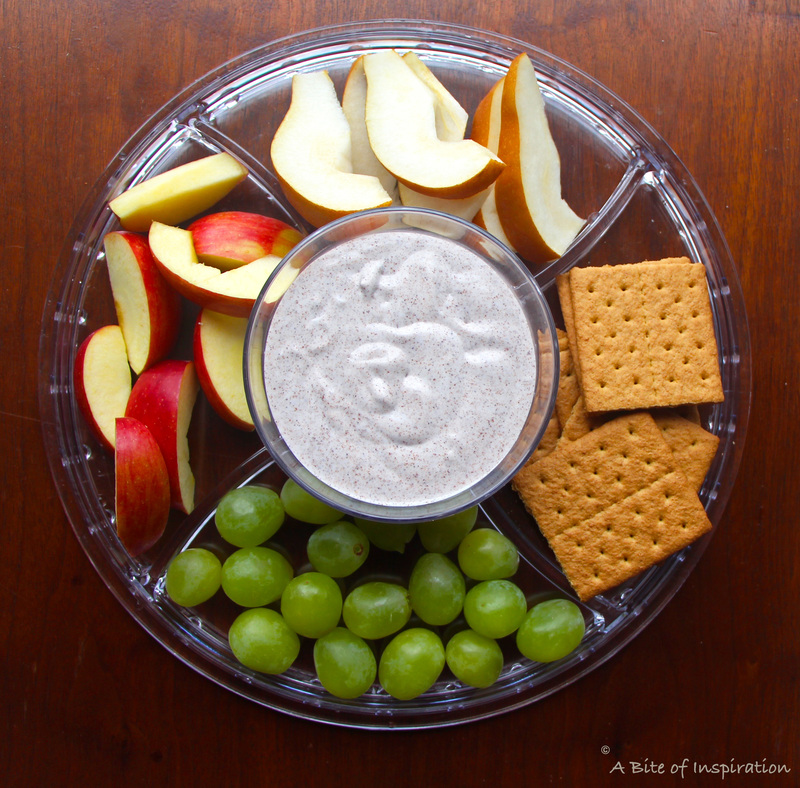 Serve it on a pretty dip tray (you can get the same one I used in my pictures, right here ) and you have a simple and delicious party snack, appetizer, or dessert. Add coconut milk yogurt and coconut whip into a bowl. Mix well. Add chocolate and cinnamon. Stir until combined. Serve with fruit or anything else sweet. Enjoy! I used a microplane to make chocolate shavings for this recipe. You can also buy chocolate shavings at most grocery stores. Haha – I’m a fan of Diners, Drive-ins and Dives. That’s quite a challenge you’ve set out for yourself but I think you rose to the challenge. I don’t know that I’ve seen coconut milk yoghurt. Do you think Greek yoghurt would work? Maybe with a bit of coconut milk mixed in? I’m not sure what coconut milk yoghurt tastes like. Can’t wait to try this with some apples. The cinnamon and apple has me drooling! Yay for Triple D!! 🙂 I love Diners, Drive-ins, and Dives too, but I’m definitely a particular sucker for the cooking games shows. 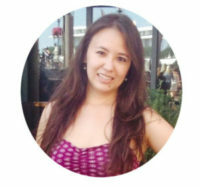 I’m glad you think I rose to the challenge– I was so happy/slightly shocked that this recipe turned out SO well given the constraints. Greek yogurt would definitely work here. You could also use regular whipped cream, if you’d like. The flavors and consistency may be a tiny bit different, but it will still be delicious! Thanks for stopping by, Romain! This looks really yummy – not too sweet, but just a perfect balance with all different fruit options. I would love to dip some pound cake or pretzels in here too! I always wonder about trying the challenges on cooking competitions! I’m glad your attempt had such a delicious outcome!! Thank you so much, Alison! You should definitely give one of the challenges on your favorite cooking competition show a try! It’s super fun and a great way to get really creative! 🙂 Poundcake and pretzels would be great with this dip. Awesome idea! Thanks again for stopping by! Oh my goodness, I love all these ingredients! Love the inspiration behind it, too! I am definitely going to have to make this for the kids! This sounds fantastic! I LOVE the idea of putting it on graham crackers. 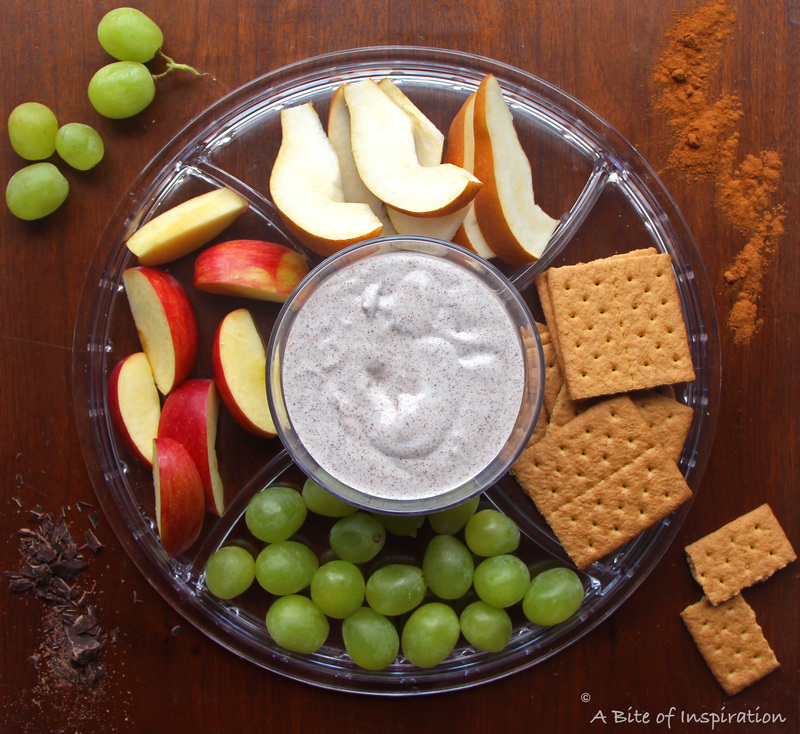 Graham crackers and any kind of cinnamon dip have always been a favorite of mine! And this gives me something to serve at parties to make sure that I have a vegan dip option! Thanks so much!